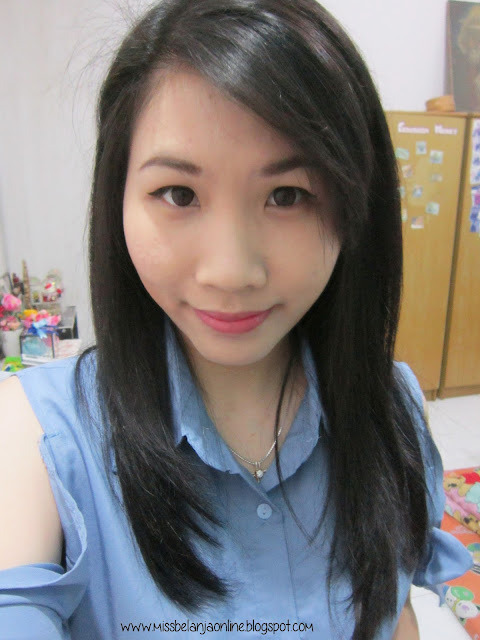 I bought myself a new BB Cream last month, because I run out my HG BB cream from Skin79. 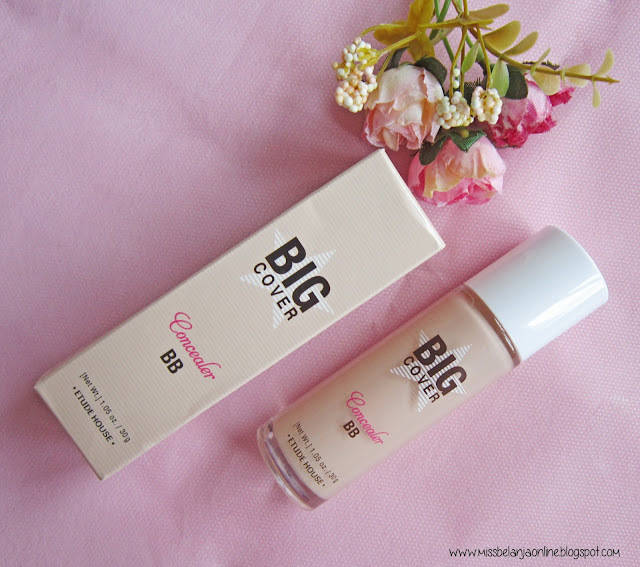 I decided to buy a new one from Etude House called Big Cover BB Concealer. I was sold with the word "cover", I heard this BB Cream works not only as a base but also as a concealer because it also contains concealer. 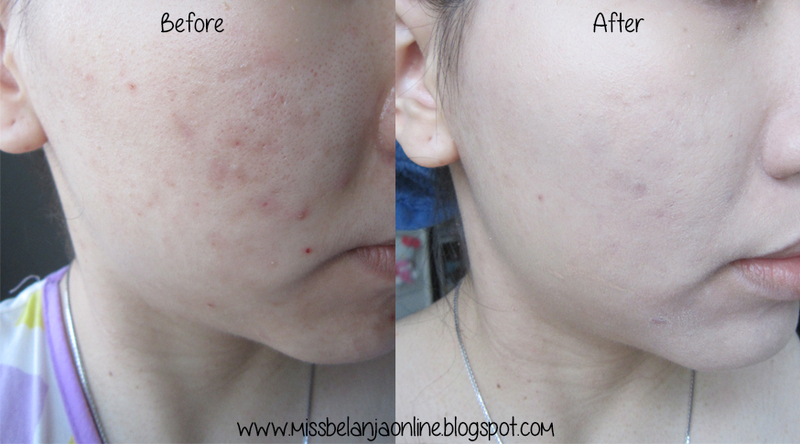 My skin is far from flawless, that's why I decide to give this product a try. Packaging: My first BB cream that stored in a glass material packaging with applicator. It is hard and definitely not travel friendly. It's a little hard to grab some product because the hole of the packaging is quite tight and the applicator can't really hold much. Texture: Like I've mentioned above, this is not only a BB Cream but a BB Cream with Concealer. So, the texture is quite thick, not like the usual BB Cream which has light texture. It covers really well, which I really like. But again, because it contains concealer, make sure not to apply a lot on all over the face because it can looks cakey and unnatural. Usually I will dot all over my face and spread it with make up puff (this is the first layer), then only dot on the area that need more coverage (e.g acne scar, dark cirlce) and blend it with my finger. That way it works more natural. The finish result is semi matte. Not dewy but also not really matte, usually I will set it again with loose powder. Oil Control: I found this BB Cream doesn't really help for oily skin type for me. I don't found anything spectacular with the oil control. Usually after 3-4 hours I need to blot my face with oil control film and this is the normal thing that I usually do. 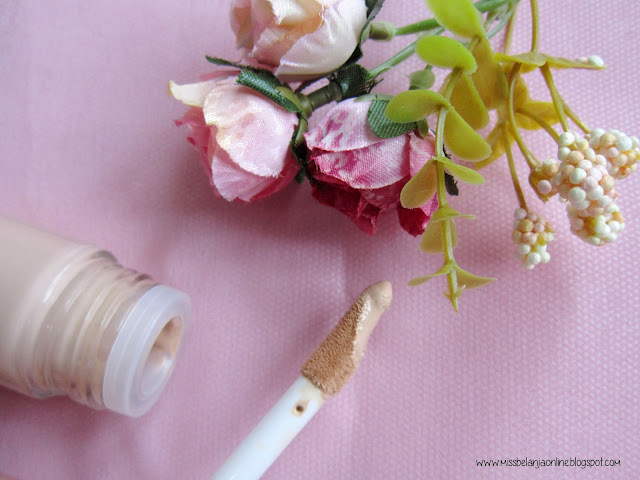 Bottom Line: I'm impressed with the coverage this BB Cream offer. And I think people who want a heavy coverage BB Cream (like me) should try this product. If you have something to cover, I suggest you try this product! the big cover line also have a concealer, you maybe want to try it too..
Halo ci shasha :) enak jugaa ini bb cream tapi coveragenya oke, tapi sayang oil controlnya biasa aja. Nice review btw ciii, lengkap bgt! Sounds great and would love to try this product!! Yaaa oil controlnya kurang ya Ce... takut nanti bubar jalan kalau di wajahku ehehehe. Coverage ok ih *. * dari awal penasaran sama ini. Kalau coverage two thumbs up!! Yay~ glad I can help! Hi! 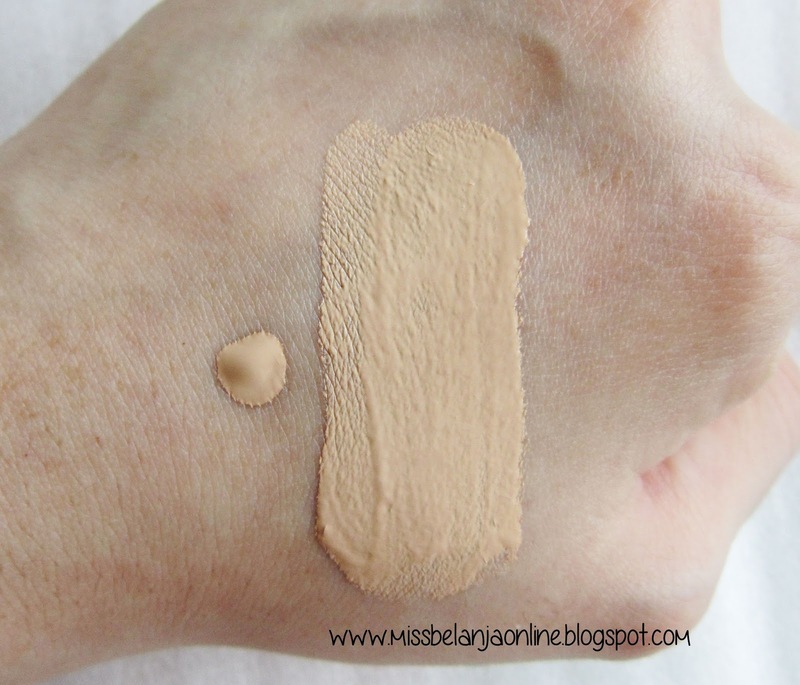 Does this concealer break your skin out even more? Or does it make it better/ the same.